Not sure what you should be publishing, blogging and tweeting? 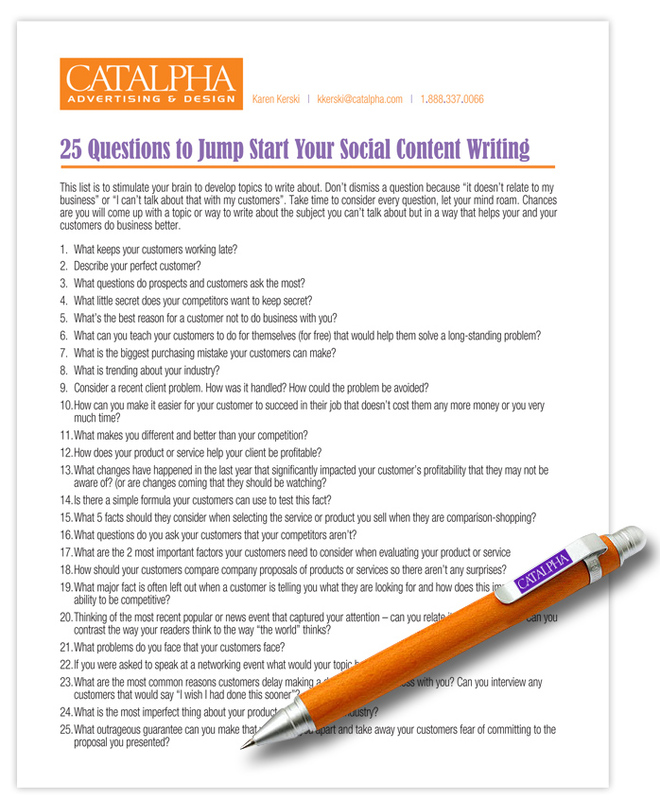 Download our list of 25 questions that will get your thoughts going. Our thought provoking questions will help you plan and develop articles that your customers are searching for and information they should consider when shopping for your product or service. Download Our Social Media Worksheet Now!